When prepared salad mixes started showing up in supermarkets years ago one of the advantages was that there was nothing that needed to be done except add a dressing. 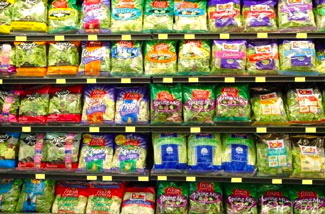 However, there have been increasing outbreaks of food poisoning linked to those bags of prepared greens in recent years. While it was long suspected that the food handlers at the factory or perhaps at a restaurant or other dining facility were the cause of contagion, Dutch scientists have uncovered a more difficult cause. Difficult, because those bags are just so easy to use and preferred by many shoppers and people have a hard time making changes in routine. The cause, these scientists have proven, could very well be the water that the weed killers are mixed in. If the nanovirus is in the water, and the plants are sprayed to reduce or eliminate weeds in the field, even washing the greens when you take them home may not eliminate the risk. What will? They suggest buying organic greens. I will suggest an easier option here in the Yamhill Valley. 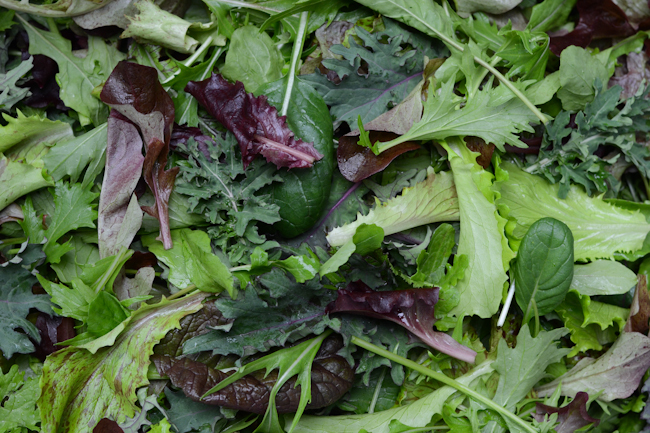 Buy your greens from local farmers! Know your farmer. At the farmers market ask if sprays are used in their growing practices. Or, read about the farmers who supply greens to Yamhill Valley Grown and make your family’s purchases there! Phew! Fixed that worry easily!! This entry was posted in education, health, Local food, organic, vegetables and tagged consumer interest', health, local farms, Local Food. Bookmark the permalink.